The view from the window of one of the stalls I was cleaning this morning. Some days I'm convinced that I've died and gone to horse heaven. 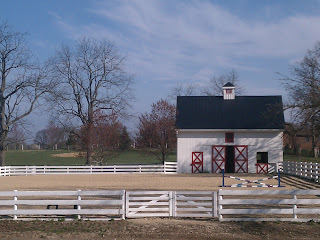 The gorgeous day at the barn had me in a good mood (the horses stayed out last night so my chores were two hours shorter than normal! ), but Connor clearly wasn't feeling it. From the moment we moved away from the mounting block, it was clear that he wanted to be anywhere but in the arena working on flatwork. I can't blame him, I guess, but I also need him to at least try to focus when I ask him to, so I tried to get something out of him. When he obeyed me, he did so automatically with his focus never shifting from the birds/his buddies in the pasture/the trees blowing in the wind. He wasn't spooky, just never focused on me. When I asked him for something that forced him to focus on me, he either started rushing, tossing his head, or both. This is very out of character for him lately, as we've had several good, through, connected rides in a row lately. Against my better judgment but out of options, I threw in a canter transition and gave him a good long canter, hoping that he'd get tired and start paying attention. He did, and he did, but only after some death-defyingly fast trips around the arena. I was never afraid, but I was glad I had texted my husband before the ride to tell him to send the hounds if I didn't text back in an hour. You know, just in case. 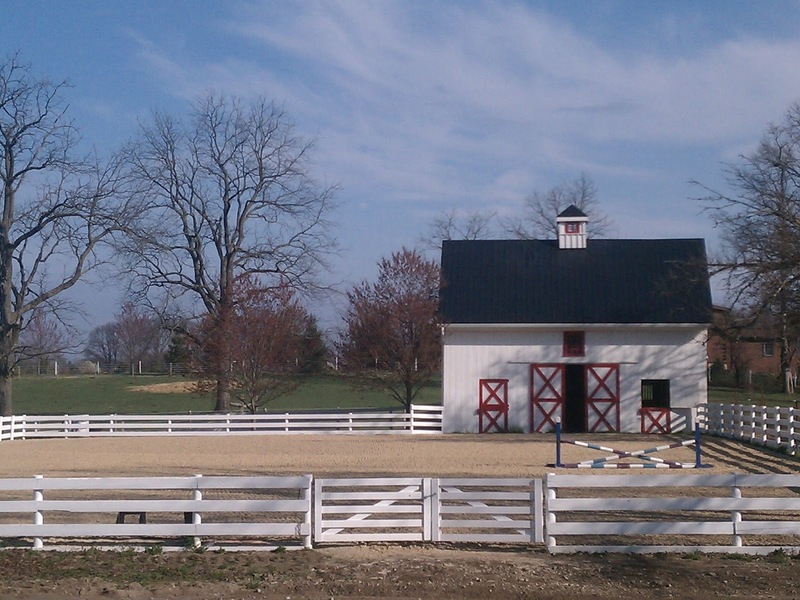 We've been doing nothing but basic Dressage for a long time now, and it's clear that we need a change up. He seems to enjoy the mental challenges most of the time, but I'm not surprised that the lack of variety is getting to him. I'm going to try to get a hack in sometime before my lesson on Thursday, and cross my fingers that jumping gets added back in sometime soon. Additionally, it's 80 degrees and he's barely shedded a single hair, which is adding to his unhappiness about being ridden, I'm sure. At least it's warm enough to hose him off! awe poor connor. Hope your next ride is better. And i am extremely jealous of your beautiful weather lol.